Bf.109G-6/R-3/R-6 Unit: 1./JG 300 Serial: 29 Malmi, Finland, February 1944. Messerschmitt Bf109G-6 of I./JG302, Rote 8. Pilot and further details unknown. Profiles and Photo Data: When the Soviet long range bomber command ADD began night bombing of Helsinki and other cities on 5-6 February 1944, a week later twelve I./JG302 night fighters arrived at Malmi for three months. A Bf 109G6 'red 29' warms up prior to take-off at Malmi on 28 February 1944. During two night raids the 109's shot down 6 Soviet aircraft. Remarks: One known victory, his 1st, a B-24 by Halle on 11 April, 1944. Remarks: KIA 23 June, 1944, no further detail. One known victory, a B-24 at Munich on 7 September, 1943. His 2nd, a B-24 (HSS) at Velden, S of Landshut, on 9 June, 1944. His 3rd, a B-24 S of Neusiedler See on 16 June, 1944. Alternate spelling: Nachtgail. Willi Reschke was born on 3 February 1922 at Muhlow in the Crossen region of Mark Brandenburg. He joined the Luftwaffe in February 1941 and began military training with the Flieger-Ausbildung-Regiment at Konigsberg-Neumark. Initially, he trained as a technician but finally began flying training in late spring 1942 on gliders before progressing to powered aircraft at Flugzeugfuhrerschule 51 at Elbing and later at Flugzeugfuhrerschule A/B 9 at Grottkau and Niesse. On 27 June 1943, Reschke was transferred to Jagdgruppe 102, based at Zerbst to undergo his operational training. He then underwent an instrument flying course at Blindflugschule 110 at Altenburg from 21 March 1944. On completion of his training, Reschke was posted to JG302, based at Gotzendorf near Wien, on 20 June 1944. Unteroffizier Reschke was assigned to 1./JG302. On 2 July, he achieved his first successes when he shot down two USAAF B-24 four-engine bombers over Budapest. Reschke rammed the next B-24 he downed on 7 July at 11:55 near Malacky in Slovakia when his guns malfunctioned. He successfully baled out of his stricken aircraft. On 24 August, Reschke claimed a further B-24 near Jindrichuv Hradec at 12:40, but shortly after, during an attack on a second, his aircraft was hit by return fire. Reschke wanted to force-land with a dead engine, but USAAF P-51 fighters began pouring fire into his Bf 109 G-6 'White 10' and he had to use his parachute. On 29 August, he shot down a USAAF B-17 four-engine bomber south of Zlin at 10:50. 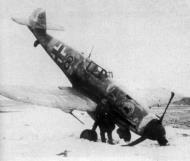 During the attack another Bf 109 fired on his Bf 109 G-6 "White 6" and Reschke had to force-land near Uherske Hradiste. By the end of August 1944, he had 14 victories to his credit. After re-equipping with the Focke-Wulf 190A-8, I./JG302 was redesignated III./JG301 on 30 September 1944. In October, the unit transfered to Stendal near Berlin. On 1 January 1945, Feldwebel Reschke downed a B-17 for his 22nd victory but was again hit by return fire and baled out of his Fw-190A-8 'White 6' east of Gardelegen. On 13 March, he was awarded the Deutsches Kreuz in Gold. In March 1945, Reschke transferred to the Geschwaderstab of JG301. On 14 April, he flew a Ta 152 and claimed a RAF Tempest fighter shot down. On 20 April, Oberfeldwebel Reschke received the Ritterkreuz. He claimed his last two victories of the war on 24 April, when he shot down two Russian Yak-9 fighters near Berlin. Willi Reschke flew about 70 missions and achieved 27 victories. He recorded 25 victories over the Western front, including 20 four-engine bombers. He was himself shot down 8 times, baling out 4 times, and was wounded once.